In the previous part of this article, I have discussed about the expansion of the Korean Church after the demise of the zealous preacher Yi Byeok, as well as the reception of Korea’s first ordained priest and foreign missionary, Father Zhou Wenmo from China. Besides, I have also mentioned about the great Sinyu Persecution of 1801, which effectively wiped out the Korean Church on the surface and drove the church underground in the subsequent decades. 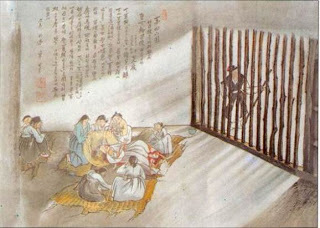 Doubtless to say, the Sinyu Persecution that resulted from Queen Jeongsun’s anti-Christian edict effectively robbed the Korean Church of its only ordained priest at that time, besides claiming the lives of numerous leaders and native missionaries and severing all communication with the Catholic Church in Beijing. With the church driven underground and the heads of many native church leaders chopped off, it seemed as if the church was bound to collapse in the difficult years to come. By going underground and functioning in near-absolute concealment, the Korean Church was able to avoid any unwanted friction with the imperial government most of the time. There were, however, occasional incidents whereby Korean Christians were assaulted and massacred, albeit in relatively smaller numbers. These incidents were mostly confined to a specific geographical area and were resultant from local conflicts or jealousy. 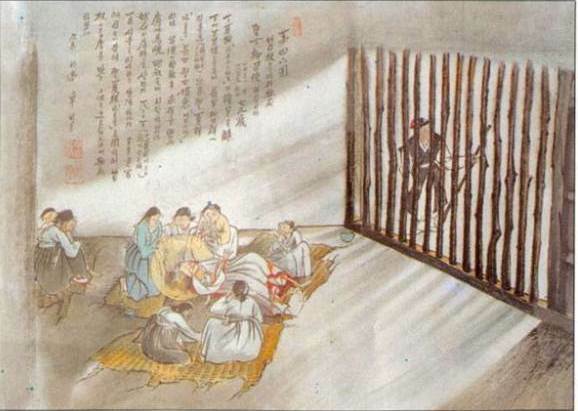 One of the most infamous of these is the Eulhae Persecution (을해박해 / 乙亥迫害, Eulhae Bakhae) of 1815, which occurred in the province of Gyeongsang (경상 / 慶尙). This incident involved Korean Christians who managed to escape the Sinyu Persecution and fled to the mountainous regions of Gyeongsang. The persecution was a result of the jealousy of local residents who saw that the Christians were prosperous and were enjoying an abundance of resources during a period of famine in the country. Hundreds of Christians lost their lives and property in this persecution. 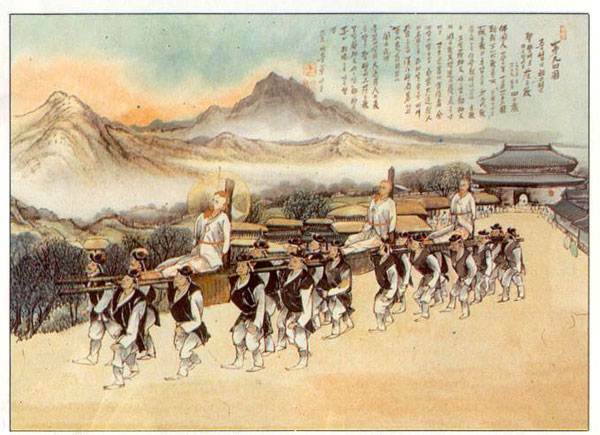 Another incident that deserves mention here is the Jeonghae Persecution (정해박해 / 丁亥迫害, Jeonghae Bakhae) of 1827, which took place in the province of Jeolla but was less severe than the Eulhae Persecution. 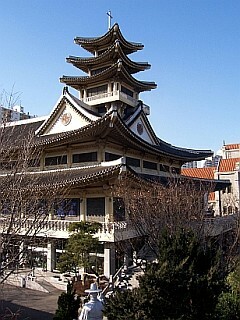 Repeated requests were made to the Catholic Church in Beijing to dispatch priests and missionaries to the Joseon Kingdom after the death of Father Zhou. Among those who actively made such requests in person was the son of Jeong Yak-jong, Jeong Ha-sang (정하상 / 丁夏祥) (1794 – 1839). It was said that Jeong Ha-sang managed to gain entry into China more than 10 times after the Sinyu Persecution by disguising himself as a poor servant to the diplomats who were sent to Beijing. There were also other leaders of the Korean Church who did the same, and together they made frequent pleas to the Catholic missionaries in Beijing for priests and missionaries to be sent to aid the ailing Korean Church. Such incessant requests could not be fulfilled immediately due to the fact that the Chinese Catholic Church was also facing a shortage of priests and missionaries at that time. Notwithstanding the shortages that the Chinese Catholic Church faced, it finally managed to successfully dispatch another priest and missionary to the Joseon Kingdom in 1831. Liu Fangji (Chinese: 刘方济, Liú Fāngjì) (Korean: 유방제 / 劉方濟, Yu Bang-je) arrived safely in the imperial capital of Hanseong (Seoul) in 1831 and began his priestly and missionary duties in the Korean Catholic Church immediately. He remained in the kingdom for a few years before he returned to China in 1837. In the same year when Father Liu began his work in the Joseon Kingdom, the Vicariate Apostolic of Korea was established, the first step in giving the Korean Catholic Church independent jurisdiction from the Chinese Catholic Church in Beijing. 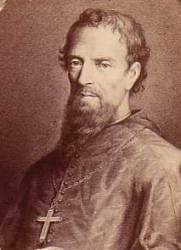 Bishop Barthélemy Bruguière (1792 – 1835) of France was appointed as the first Vicar Apostolic to Korea. 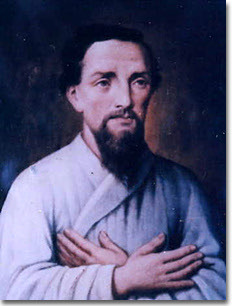 Nevertheless, after repeated failed attempts to enter the Land of the Morning Calm, Bishop Bruguière died in Mongolia in 1835 without ever stepping foot on the land he was supposed to serve in. In subsequent years, the Korean Catholic Church was strengthened with the presence of three more French priests in the country. Pierre-Philbert Maubant (나백다록 / 羅伯多祿, Nabaek Darok) (1803 – 1839) successfully entered Korea in 1835, followed by Jacques-Honoré Chastan (정아각백 / 鄭牙各伯, Jeong Agak-baek) (1803 – 1839) in the following year. After Father Liu returned to China in 1837, yet another French priest arrived in Hanseong, namely Bishop Laurent-Marie-Joseph Imbert (범세형 / 范世亨, Beom Se-hyeong) (1796 – 1839), who was appointed as the second Vicar Apostolic to Korea. Father Maubant was the first of the three French priests to arrive in Korea. 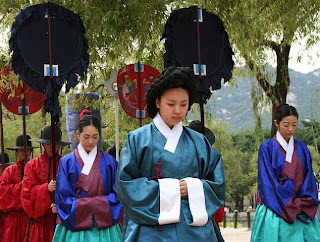 He stayed in the imperial capital of Hanseong for a while, tending to the spiritual needs of the Christians there before travelling to the other provinces of the Joseon Kingdom. Despite having to travel rough roads barefooted during icy cold winters, Father Maubant was very committed in teaching the gospel to those living far away from the capital in the interiors. He was never selfish in providing the basic necessities to all the poor people whom he met throughout his travels. Being the first of the three priests to arrive in Korea, Father Maubant contributed much in raising up native Korean priests to serve in the Korean Catholic Church. This, he felt, was vital in ensuring the survival of the Church, besides giving it a more native outlook acceptable to the locals. 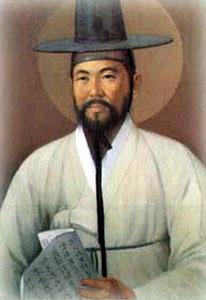 He thus managed to send Kim Tae-gon (김대건 / 金大建) (1821 – 1846) and Choi Yang-op (최양업 / 崔良業) (1821 – 1861) to study in a Catholic seminary in Macao in 1836. Kim later became the first Korean in history to be ordained as a Catholic priest. Besides Father Maubant, Father Chastan also did much in propagating the gospel throughout the kingdom. Upon arriving at the imperial capital, Father Chastan stayed there for a while to learn the Korean language and tend to the spiritual needs of the Christians there. Just like Father Maubant, Father Chastan later spent some time travelling to the interior and the mountainous regions of the provinces in order to spread the gospel and teach the Bible. The Catholic priest never hesitated to provide money, food and clothes to poor Christians and non-Christians alike, even if it meant sacrificing his last penny. As for Bishop Imbert, he began learning the Korean language immediately after arriving in Hanseong. He was a quick learner and could adequately master the language to administer sacraments in the church after only a few months. He was also responsible for translating many Catholic works in Chinese into Korean so as to promote the reading and understanding of the gospel. Unlike both Father Maubant and Father Chastan, Bishop Imbert did not spend a lot of time in the rural provinces. He did make occasional visits to villages and settlements outside the imperial capital, but such visits were relatively short compared to the other two priests. Bishop Imbert propagated the gospel and administered to the spiritual needs of Korean Christians mainly in the capital. Nonetheless, he was a loving father-figure and a good pastor who showed great compassion and kindness to all he met. He was especially concerned for all those who were imprisoned or killed because of their faith in Christ, and he frequently extended a helping hand to the Christians who were imprisoned by delivering adequate basic necessities to them regularly. As for those who were martyred, he ensured that they received proper burials. Bishop Imbert was also actively involved in the priesthood training of four prospective Koreans, one of whom was Jeong Ha-sang. Indeed, Jeong rose to prominence among the four for his exceptional ferventness, talent and commitment to spreading the gospel. He was a promising student, having done a lot to rebuild and maintain the Korean Catholic Church even before Father Liu’s arrival. In fact, as I have noted above, it was because of Jeong’s persistent efforts in requesting for priests from the Catholic Church in Beijing that finally resulted in the sending of these Catholic missionaries to Korea. 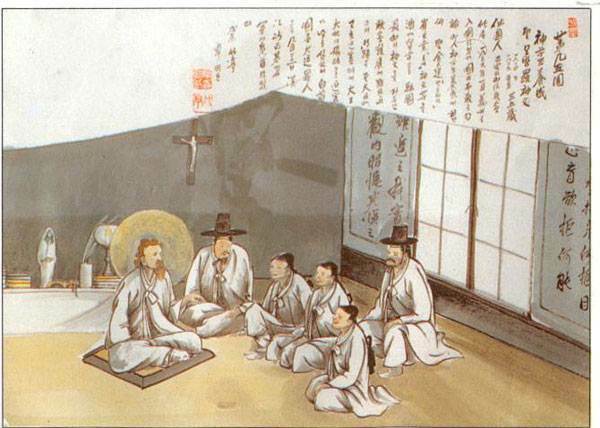 Because of Jeong’s keenness in learning the Scriptures and his zeal for the gospel, he was about to be ordained as a priest, but the sudden eruption of the Gihae Persecution (기해박해 / 己亥迫害, Gihae Bakhae) of 1839 prevented this. The Gihae Persecution began with the betrayal of a member of the Korean Church in 1838. Kim Yo-sang, who, for selfish monetary gains, had successfully delivered quite a number of Christians into the hands of the imperial government, was then looking for a chance to betray the bishop as well, despite all the kindness that the latter had showered upon the former. When an opportunity finally came, Kim succeeded in tricking an innocent Christian into revealing the bishop’s hiding place in Suwon (수원 / 水原). Realizing that he was already betrayed and that there was no escape, Bishop Imbert calmly celebrated Mass and took a modest repast before surrendering himself to the authorities. Upon capturing the bishop, the imperial government went all out to search for the other two priests as well. More officers were mobilized throughout the kingdom and more Christians were mercilessly stuffed into the already crammed prisons. The bishop himself was taken up to the imperial capital, interrogated and tortured to compel him to reveal the location of the other two priests, but he refused adamantly. Finally, thinking that it was better for the priests to sacrifice themselves rather than to allow more Christians to be persecuted as time passed, Bishop Imbert wrote to the two priests, urging them to surrender themselves to the authorities immediately. Once Fathers Maubant and Chastan received the letter, they made final arrangements for their congregations before leaving joyfully to face their martyrdom. They cheerfully surrendered themselves for torture and imprisonment, considering it worthy to suffer for the name of Christ to gain eternal life. The three French missionaries were thus subjected to coldblooded torture to force them to reveal the locations of the other Korean Christians. 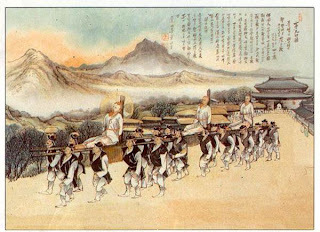 However, because of their stubborn refusal to give in to the authorities’ demands, they were consequently condemned for decapitation in September 1839 at Saenamteo (새남터), a location by the Han River (한강 / 漢江, Han-gang) near the imperial capital. 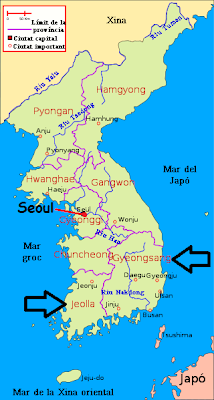 As a result of the Sinyu Persecution of 1801 and the other more minor persecutions that followed, the Christian population in Korea was reduced but never obliterated. With a slow but steady growth, the number of believers grew once again to about 3000 in 1836, swelling to a further 9000 by 1838 after the arrival of the three French missionaries. 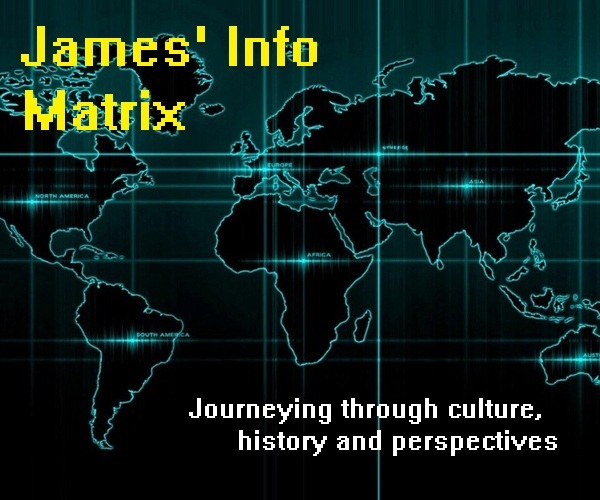 Nevertheless, the Gihae Persecution of 1839 reversed this growth pattern temporarily, with the martyrdom of all the three French missionaries and Jeong Ha-sang, as well as the execution of about fifty Korean Christians and the death of a further sixty under torture or imprisonment in Hanseong. Many others were imprisoned, beheaded or banished in the other provinces outside the imperial capital, curtailing further the spread of the gospel. The Korean Church was, however, bound for calmer times in the decades that followed before the last and worst storm struck. Move on to the final part of this article to find out! 2. Fathers of the London Oratory (n.d.), The new glories of the Catholic Church, Richardson and Son, London. 3. Grayson, J.H. (1985), Early Buddhism and Christianity in Korea: a study in the emplantation of religion, E.J. Brill, Leiden, the Netherlands. 4. Kim, A.E. (1995), ‘A history of Christianity in Korea: from its troubled beginning to its contemporary success’, Korea Journal, vol. 35, no. 2, pp. 34-53.